As of 4 p.m. on Thursday, June 13, some academic institutions in Manila forced to cancel afternoon classes due to floods triggered by heavy rains. According to the Metropolitan Manila Development Authority (MMDA), flood water along España Boulevard was already knee-deep as of 3:20 p.m. 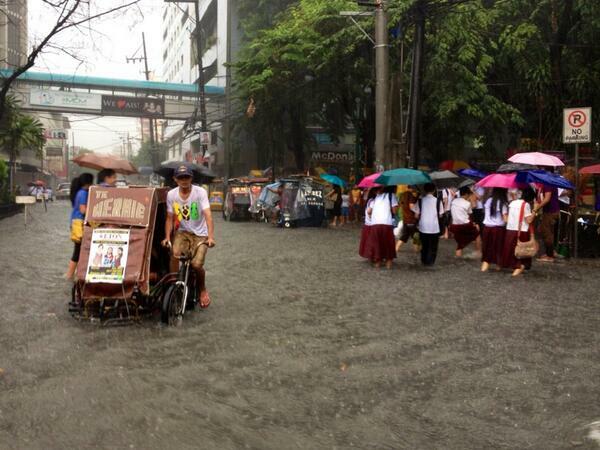 The same situation was also reported along Taft Ave.